I have continuous problems with this company. 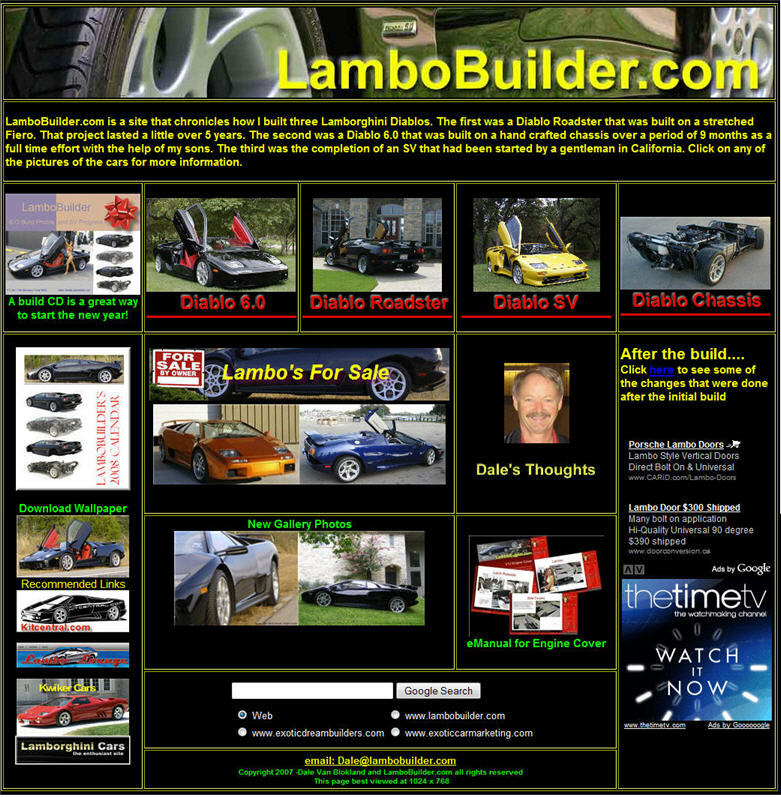 At first they stolen numerous images from my website showing my completed chassis and cars and represented it as their own. After posting a scam alert they finally removed the links. Now they have gone so far as to create a fake website that looks like mine to hawk their wares. I have spent years building cars and developing a reputation as being honorable and trust worthy. 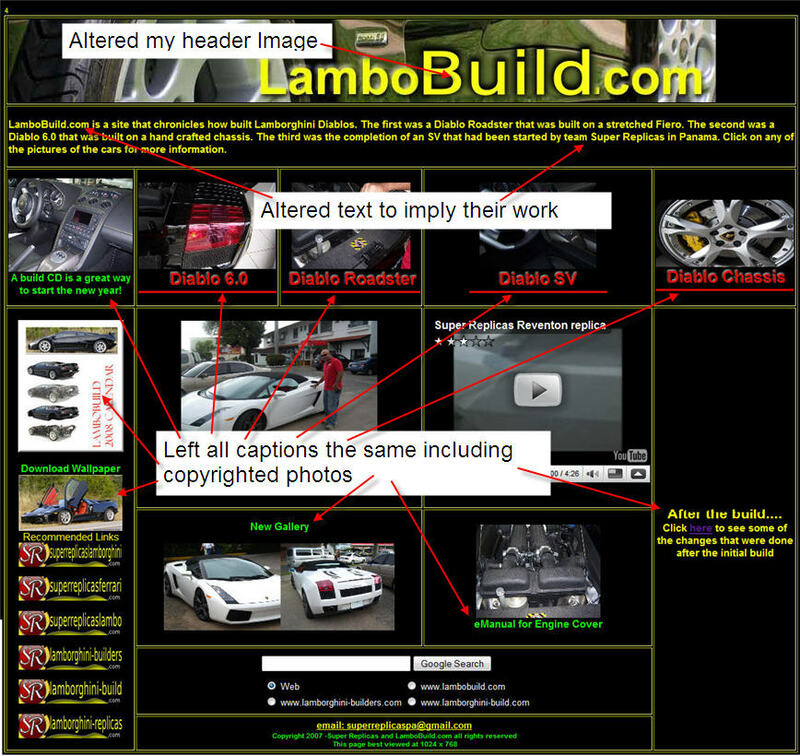 I would hate for anyone to get ripped off thinking that their site was really one of a reputable builder. I KNEW I had seen that website somewhere before. I saw the link to there site that he had been linked to one of my youtube car build videos. I had a look to see if they had used my vid on there site, didnt find it. I will look again. I believe they are using others build vids and linking them on there site as there own as well as the pics. These guys are scum. This is just more evidence to PROVE that SR is a scam. What really blows me away though, is that there are members of this forum who say that we are all just trying to ruin their (SR's) reputation, and since there is no PROOF that anyone has been ripped of by them yet, it is unfair to call them scammers. Personally, I dont know how much "proof" someone would need to figure out what these people are all about. NO LEGITIMATE COMPANY would go to the extent that they have to try to convince people to send them money, and pirate other peoples images claiming to be their own. Common sense would tell any normal person that even if there is no definate proof that they are scammers, their behavior of steeling other peoples images, and making impossible claims about their products (and warrantys), should be a red flag to ANYBODY thinking of sending them $25K. Better safe than sorry. I wished the boss man here would delete ANY and ALL posts regarding these scam artists period. If anyone posts another video or ad concerning SR PLEASE DELETE! They have no place on this or any other site, they are worse than the nigerians. As a matter of fact whoever tries posting this crap should be banned from this site! and so the scams will continue...are you from SR? i have to disagree, the more people that see that they are scammers the better. the new people to the kit car world may not have heard about them, and by seeing it mentioned on here it may stop them being ripped off. plus, its funny to see what crap they come up with in their latest videos!